Need A Tampa Limo or Party Bus? Why book with Tampa Limo? We're here to provide exceptional group transportation service in our limousines and limo buses with experienced chauffeurs. 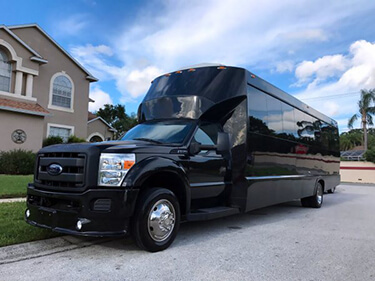 There's a reason why so much of Tampa chooses us for transportation time after time for their weddings, school dances, bachelor and bachelorette parties, family reunions, birthday celebrations, and more. Our customer service goes above and beyond ensuring you get what you need by paying attention to your happiness first and foremost. Let Tampa Limo make all of your transportation fantasies come true! Our team of customer service team is standing by to assist you at 1-813-563-9631. Our customer service goes above and beyond ensuring you get what you need by paying attention to your happiness first and foremost. 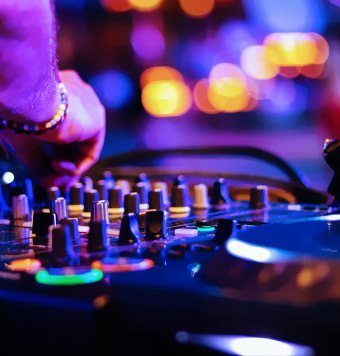 Connect your phone to our high end stereo system, enjoy Blu-Rays on our HDTVs, control the LED & neon lighting, dance pole, & enjoy the built-in bar. Custom built plush seating will keep you and all of your guests comfy no matter the duration of your trip, our chauffeurs the cream of the crop. We don't limit bookings by mileage or stops. Feel free to make all the stops you want and don't worry about making last night plan changes. What Can We Offer You Others Can't? We offer you with the top fleet of vehicles driven by the best chauffeurs! There's nothing like traveling with the luxury of a professional chauffeur at your beck and call, not to mention knowing that you have a top of the line luxury vehicle at your disposal. Our vehicles are brand new when we add them to our limo and party bus lineup and we keep them in as pristine condition as possible for the entire duration of their service with us. We require that our customers do not smoke in our luxury vehicles, keeping them smoke-free and as clean as possible means that they always look and smell as fresh as can be for every customer! The comfortable seating allows you to converse with your guests with ease, and enjoy the exciting, modern features in our vehicles. The built-in bar is the highlight, stocked by us with ice and cups, and stocked by you with whatever drinks your heart desires! Drinking alcoholic beverages while on the road with us is 100% legal! 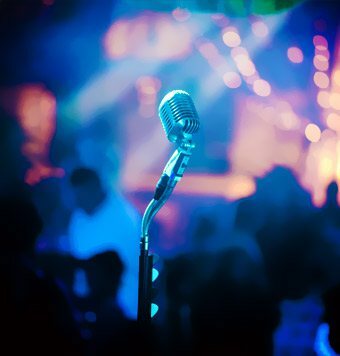 Dance your heart out, and enjoy some drinks. You have a designated driver waiting for you when you come out! You'll avoid the hassles of traffic and parking and you'll truly enjoy your time on the road, both there and back, since your chauffeur is handling all the work of the navigation! 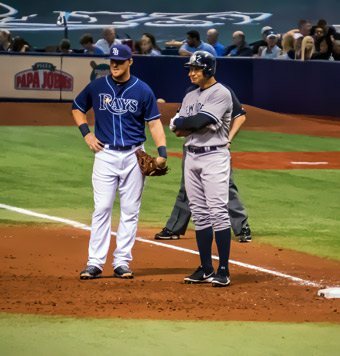 There's no better way to tailgate before a sporting event than by using Tampa Limo's service! 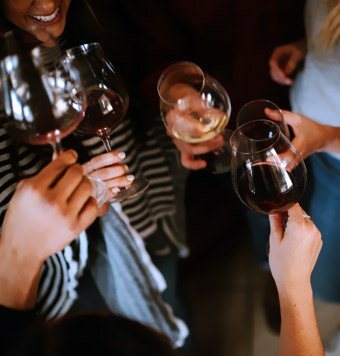 Similar to a concert experience, you avoid the frustrations involved with traffic and parking, and you can celebrate with a toast on the road after your team has won the game! Root for the home team in style! Tampa is home to much of Florida's overall tourism. Experience it all with a limousine or limo bus! We'd be thrilled to take you around to enjoy all the sights and sounds of our beautiful area, hitting all the hottest night spots, attractions, and restaurants, and living it up with your friends and family! Weddings are romantic events to be cherished for a lifetime. Let us provide you with service you wont forget! We've got the most elegant vehicles in town, plus special wedding packages that include decor and champagne to help you celebrate with your close friends, wedding party, and guests! 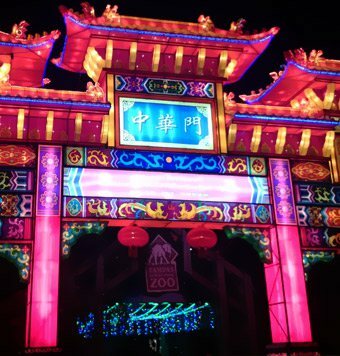 With so many annual celebrations and parades, you don't want to miss out on any of the action! Parking can be a real nightmare at these events, and with a luxury party bus, you won't have to worry about it at all! 100% fun and none of the hassle? That's exactly what we're in business for, to make it easy! 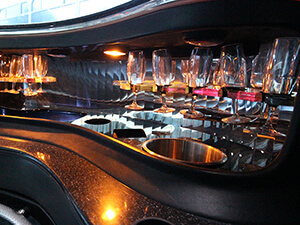 Enjoy your last night of freedom in a limo bus with just as much style as you do! 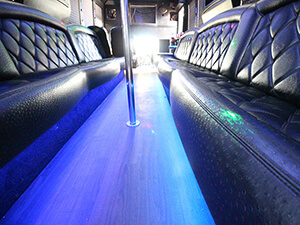 Party it up in between destinations and get really wild in our spacious buses! 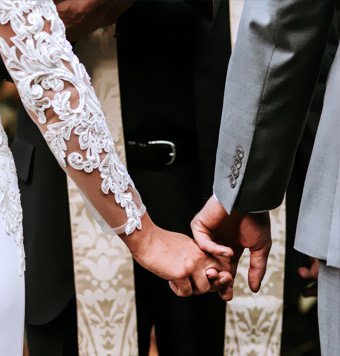 Perfect for all types of pre-wedding celebrations, we're always there to take you anywhere you need to go, both before & after you tie the knot! Pairing you with limo or party bus ideal for your needs no matter the occasion we have the perfect vehicle & service for you. Our Tampa Limousine services are always just a phone call away. Our booking agents and customer service representatives work around the clock to ensure that all calls get answered! When you call, you'll be happy to know that we want to understand your needs, interests, and budget in order to give you a reservation that is perfectly tailored to you. Reach out and let us help you plan the party of a lifetime! This Mercedes Benz Sprinter brings luxury to even the most intimate trips. The ever popular Hummer stretch limo is perfect for a night on the town. You and your friends are going to love the comfort and fun to be had in this bus.